United Way of Northern Utah has teamed up with Bright by Text to send free activities, games, and resources right to your cell phone. 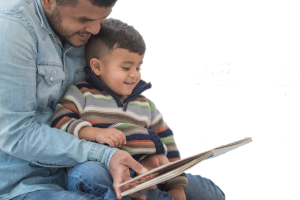 Messages are targeted to your child’s age and include information on child development, language and early literacy, health and safety, behavioral tips, and more. This program, already offered in other communities around the nation, offers parents and caregivers expert tips and resources for children up to the age of five. Interactions a child has with adult caregivers at this stage of their life set the foundation for future learning, behavior, and health. Bright by Text shares fun and easy activity ideas, positive parenting tips and resources, and information about the child’s physical development. In addition, Bright by Text sends occasional messages about events and resources specific to Northern Utah communities, like free museum days, health clinics, and preschool open enrollment periods. To sign up, simply text the word “UTFAMILY” to 274448* or follow the weblink below. You will receive two to five short text messages per week, and each message provides a link for more information. To sign up additional children, simply text “UTFAMILY” to 274448 an additional time for each child. This service is provided free of charge thanks to generous support from the Daniels Fund and the many partners of Ogden United Promise Neighborhood.